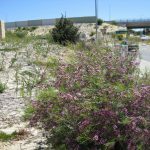 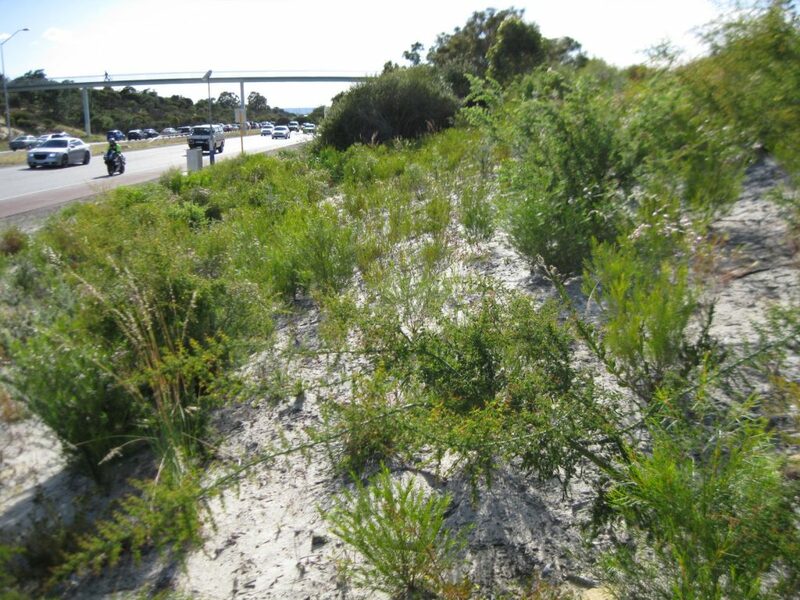 Summary:Construction of new freeway flyovers resulted in the disturbance of 18 ha of vegetation. 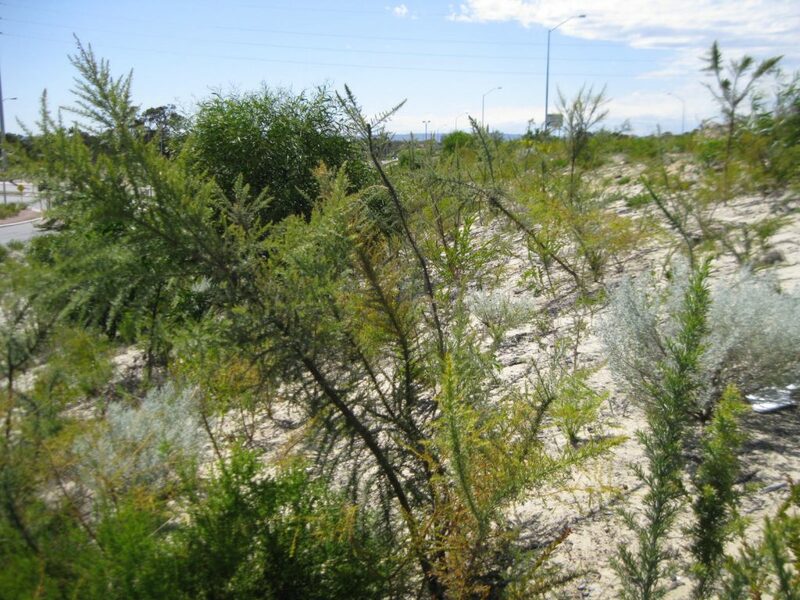 66,000 seedlings and 80 kg of seed used to rehabilitate the sites under two projects. 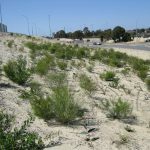 Reid / Alexander completed on time and 26% under budget, Reid / Mirrabooka completed one year ahead of schedule and 30% under budget. 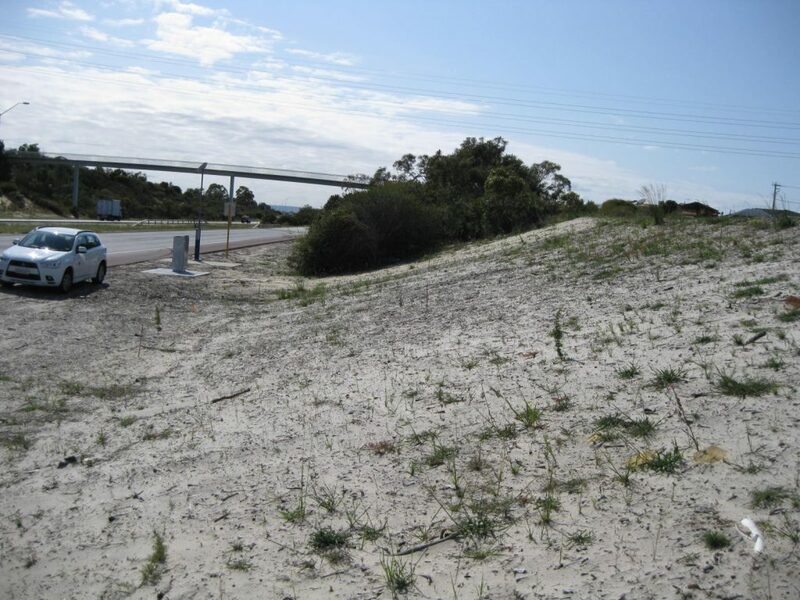 Revegetate the road verges, median strips, basins and associated areas totalling 18 ha impacted by construction activities, using direct seeding and seedling planting. 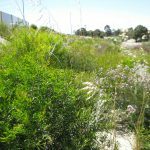 Maintain the sites for three years until the completion criteria for native plant and weed cover and species diversity and other factors were achieved. 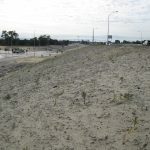 Working in long narrow strips along roads still open to traffic, with vehicles facilitating the ingress of weed seeds. 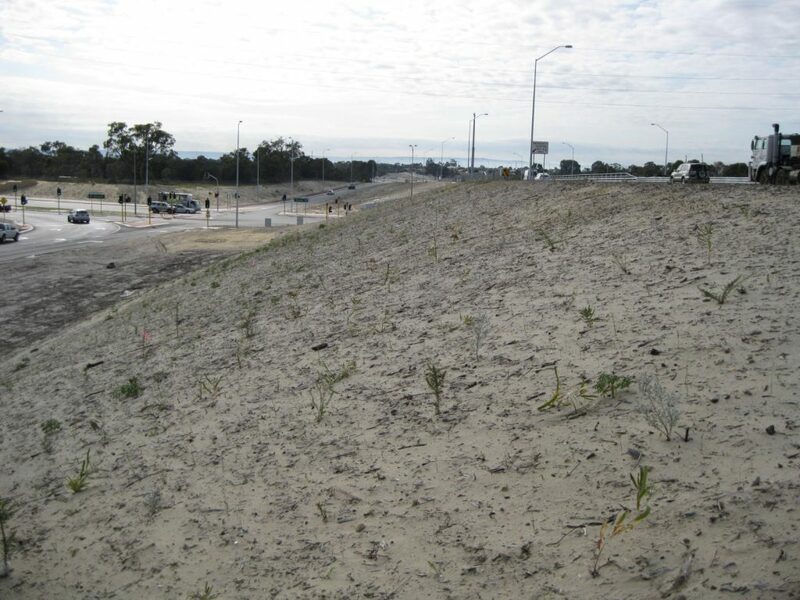 Revegetation of high fill batters of bridge abutments relying on rainfall is typically challenging. 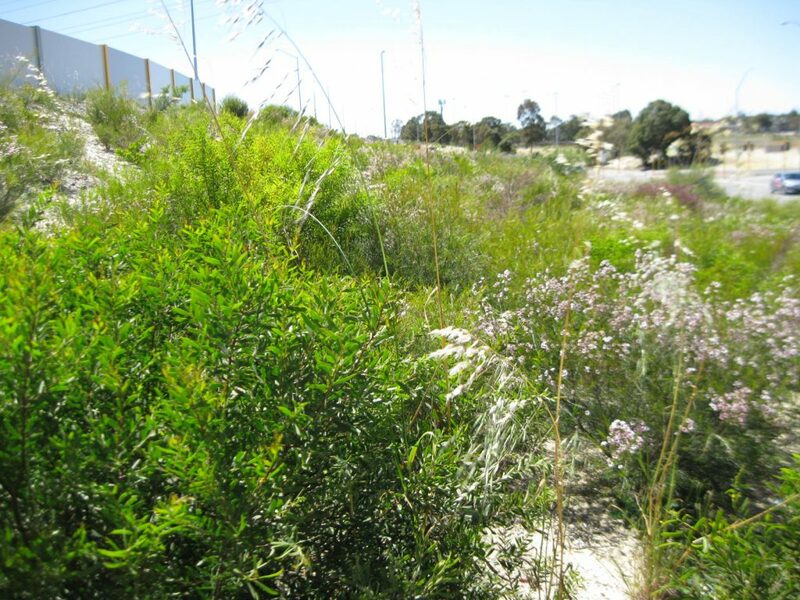 Intensive detailed planning was required because of the long narrow strips and various species mixes. 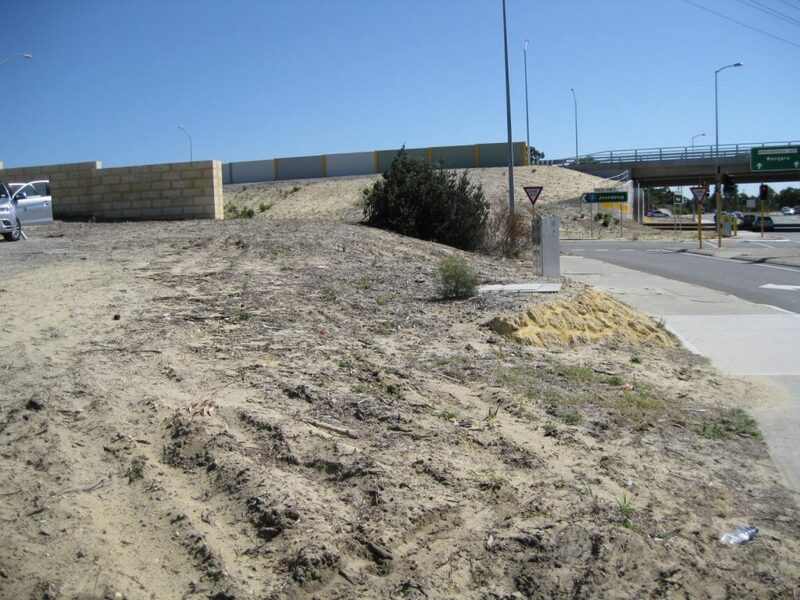 Safety was of paramount importance in the high traffic environments. 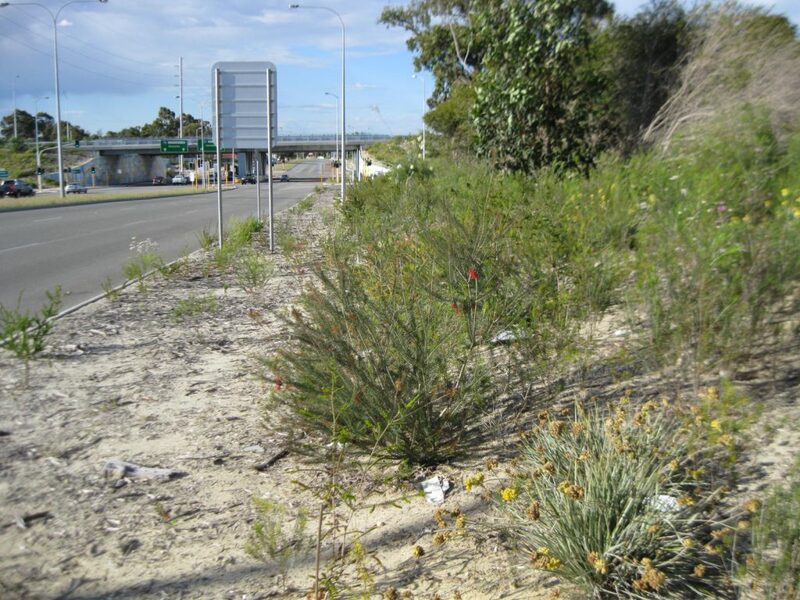 Large teams were used to minimise the need for traffic management and disruption to the public. 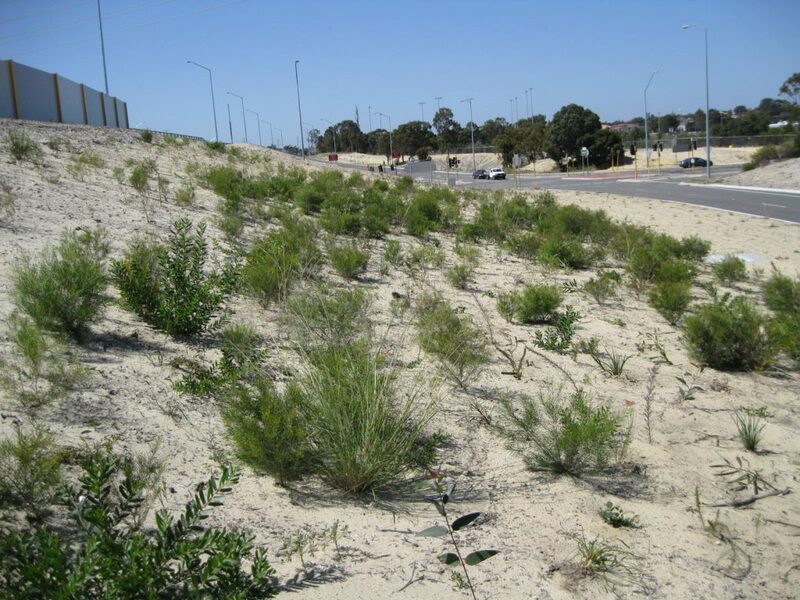 Revegetation commenced in winter 2012 using a combination of two strategies, direct seeding and tubestock planting. 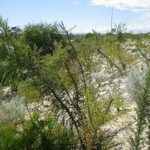 Over 66,000 seedlings were planted and 80 kg of native seed broadcast across the two project areas. 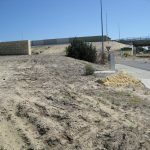 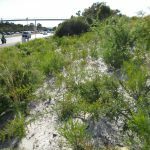 Few weeds were evident prior to the commencement of revegetation, and only minimal control by herbicide spraying was necessary during the course of the project. 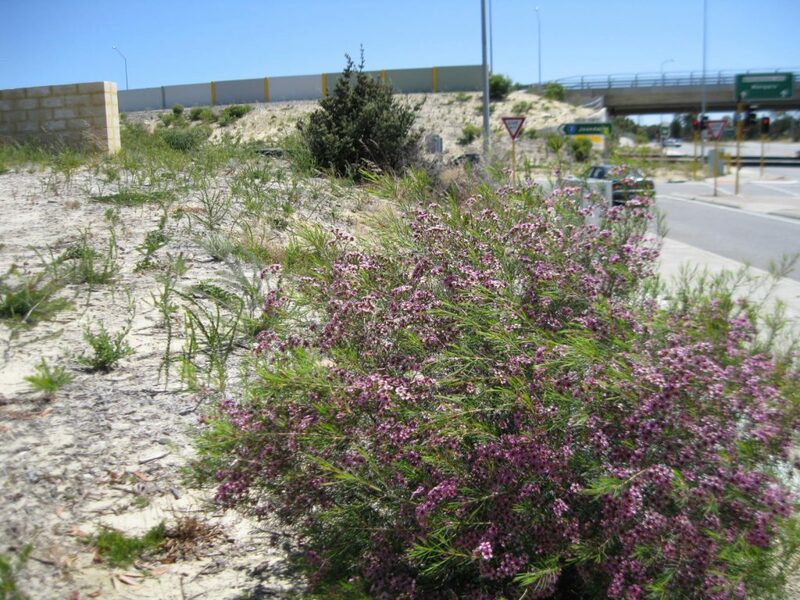 Declared plants and other high control priority species should be eradicated from the Site. 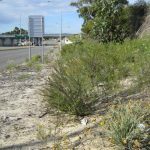 And the presence of other nuisance species and their effect on new plant growth must be demonstrably manageable with minimum future maintenance requirements. 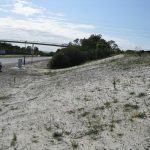 Alexander Dve interchange – handed over on time and 26% under budget. 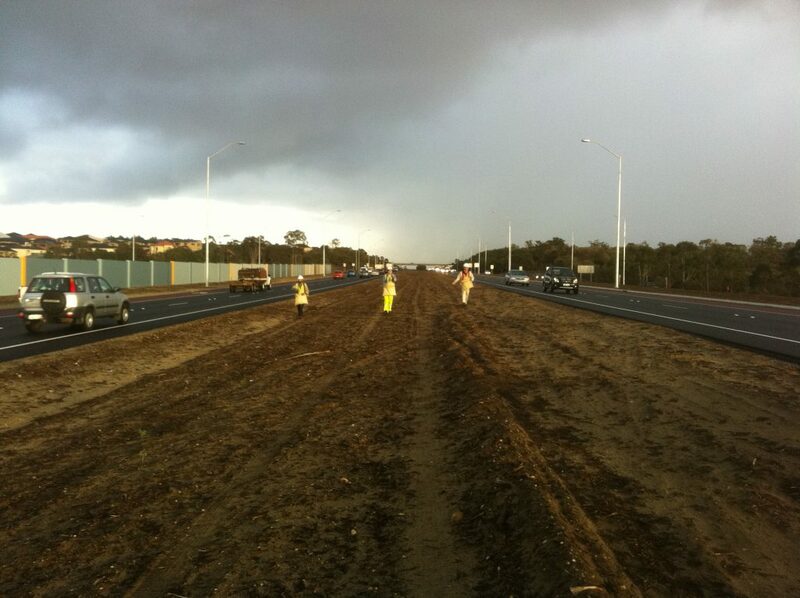 Mirrabooka Ave interchange – handed over one year early (at MRWA request) and 30% under budget. 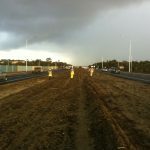 Camboon-Mirrabooka PSP – completed on time and on budget.